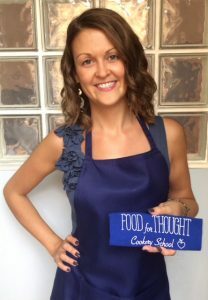 We spoke to Louise Jones, Founder of ‘Food for Thought’ a home-based cookery school in Dorset. She is on a personal mission to help inspire people to make and eat healthier choices. A qualified nutritionist, she knows the power of positive food choices particularly given her own personal struggles with anemia. Having previously experienced the pressures of the corporate world too, she decided to pull back and strike out on a different path as the time felt right to build her own business around her passion for food. 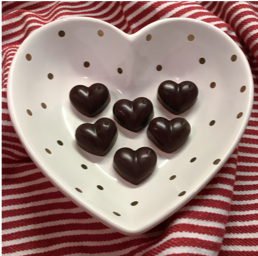 Her cookery school has been trading for just over a year and she has also created a range of sweet treats including a recipe for healthy chocolate! Louise says: “I can’t speak highly enough of GetSet. Having someone else looking at your business who is not close to you, is fantastic. Asking the ‘why’, is really powerful”. Regular mentoring with the team helped to accelerate her decision making. A considered review of The Food for Thought website generated more focused content and tangible results, with class bookings up already this year. The GetSet workshop support helped build her knowledge and confidence as well, with the suite of training being a valuable resource from which to develop a plan of action for building awareness of the cookery school and an engaged client community. Working with the GetSet team, Louise now has a clearer idea of her target customers – primarily female foodies with health as their key motivator, they are seeking more confidence in their cooking skills. This knowledge is helping her to develop new class offerings and generate more repeat business with a healthy pudding club being one of the new tasty offerings for the Autumn. The future is looking bright at ‘Food for Thought’. So much so, that Louise has taken the plunge and given up her part time job to be able to focus on the business full time. She was a finalist in the ‘Successful Women in Business’ awards and is committed to helping and inspiring more people to make healthier cooking choices. She intends to explore a wider range of formats for delivering her passion and will inevitably be having lots of fun along the way!